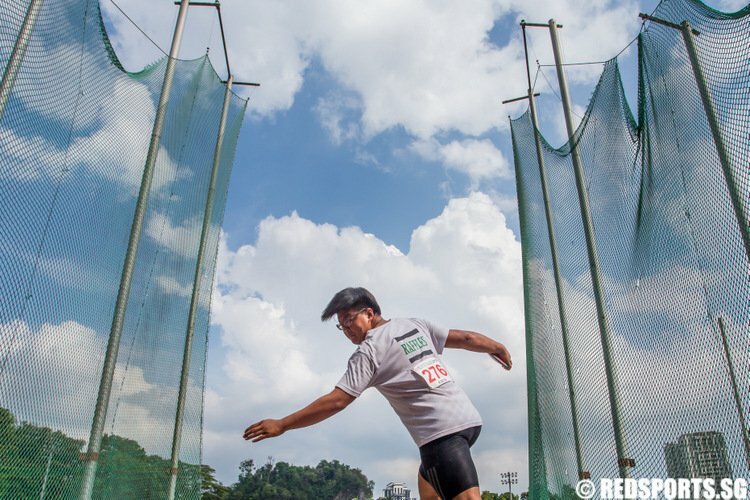 Story by Jessica Soo/Red Sports. Photos by REDintern Jordan Lim. 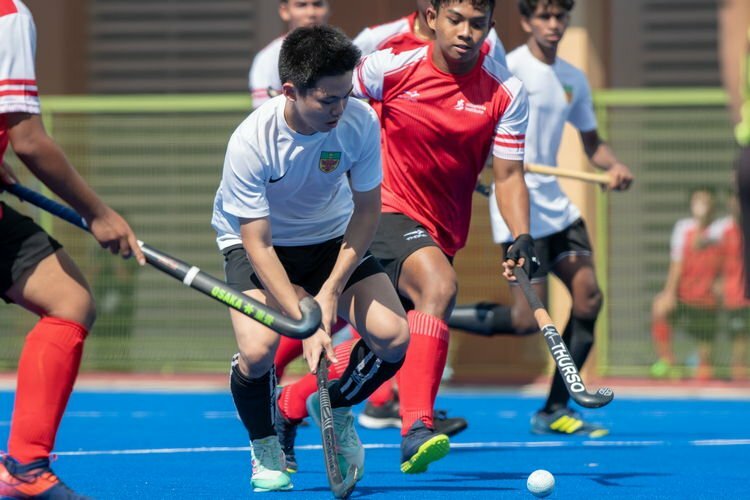 Hougang Sports Hall, Wednesday, April 3, 2019 — Catholic Junior College (CJC) and Tampines Meridian Junior College (TMJC) started off their first matches of the National Schools A Division Floorball season with a close draw of 1-1. Though it was a draw, the emotions on opposing ends of the court differed greatly. 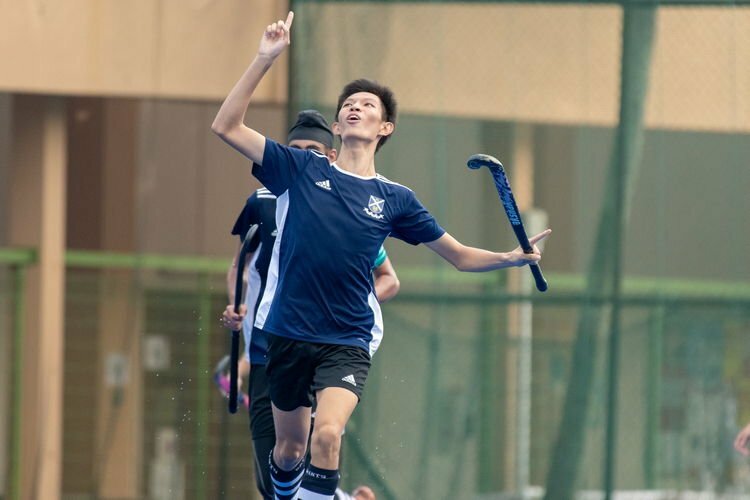 Tampines Meridian Junior College (TMJC) entered the preliminary round for its first year ever since the merger between Tampines Junior College (TPJC) and traditional floorball powerhouses Meridian Junior College (MJC), donning navy blue and white colours. 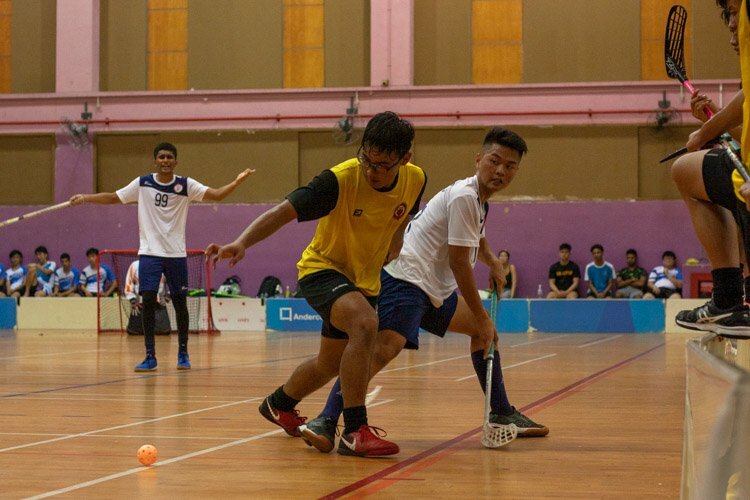 “I am very proud of CJ floorball and honestly, quite shocked as TM is a very strong opponent. 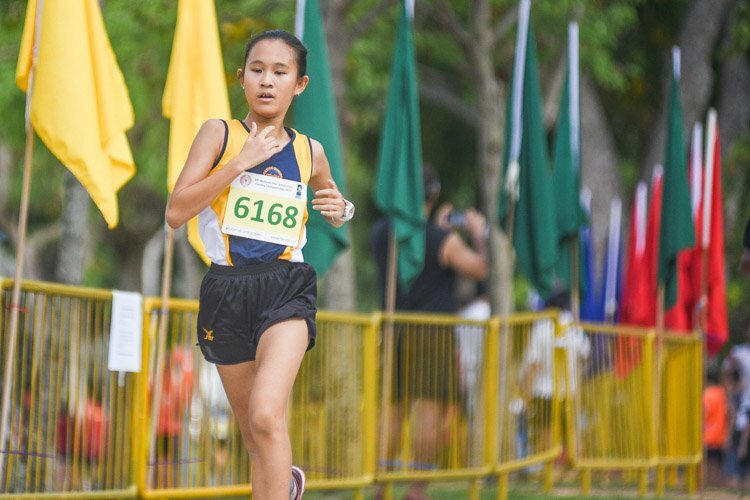 In fact, they are one of our hardest opponents, so overall I am very pleased with the team as everyone hustled and focused during the game to overcome the odds,” said CJC’s captain, Natalie Ong (CJC #7). The game started off with the ball mostly being played around CJC’s half, with TMJC’s captain and line one forward Nadhrah Jamal (TMJC #25) driving in with attempts to take shots. However, CJC put up a good defense, keeping calm under pressure. CJC goalkeeper Emilie Marie D’Cruz (CJC #8) forged an aggressive front against the shots as well, not only catching the ball mid-air, but giving good throws that sent the ball to the opposite end of the court to aid in the counter-attack. As the game went on, both sides grew more anxious. 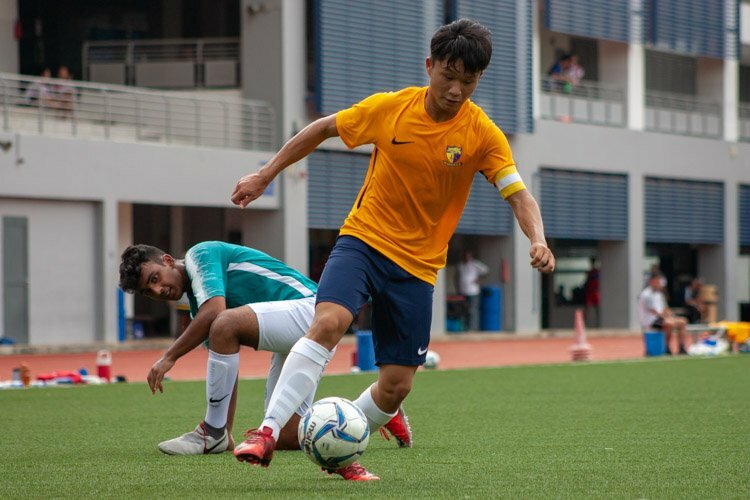 The first goal came from Tampines Meridian’s Cloe Wong (TMJC #13) who shot on target, seizing the opportunity when CJC’s defenders let their guard down and fumbled with the ball. 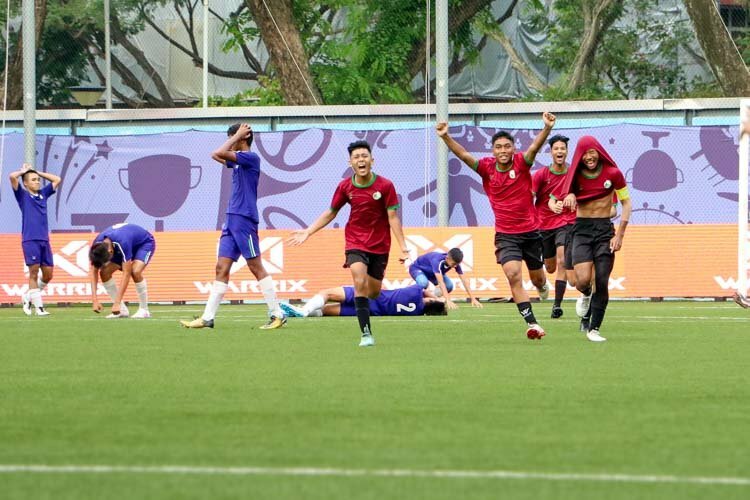 Amidst the celebration, TMJC slipped up and a player stepped into the goalie’s box, initiating the referee to call a penalty against TMJC. Unfortunately for CJC’s Aletta Karim (CJC #80), who rose to the occasion to take the penalty, the shot was denied by Tampines Meridian’s goalie Norazirah Bte Mohd Amin (TMJC #30). 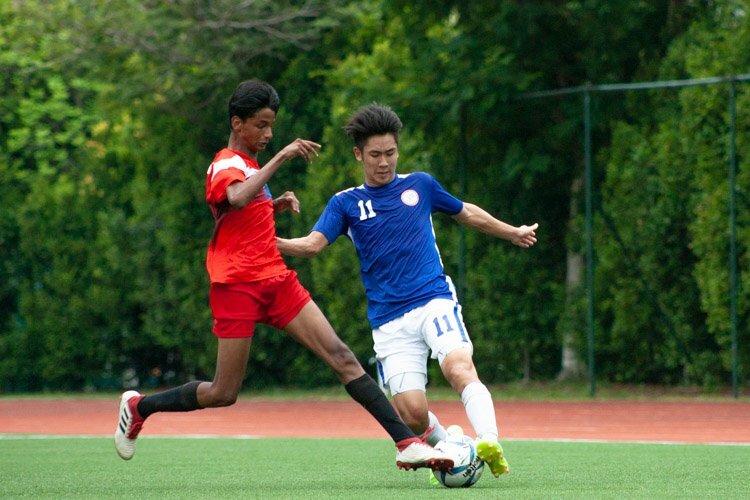 With a 1-0 lead by Tampines Meridian, the teams went to the third and final period of the match. Within two minutes, TMJC played the last period with one man down, as they had six men on court during a hurried line change. 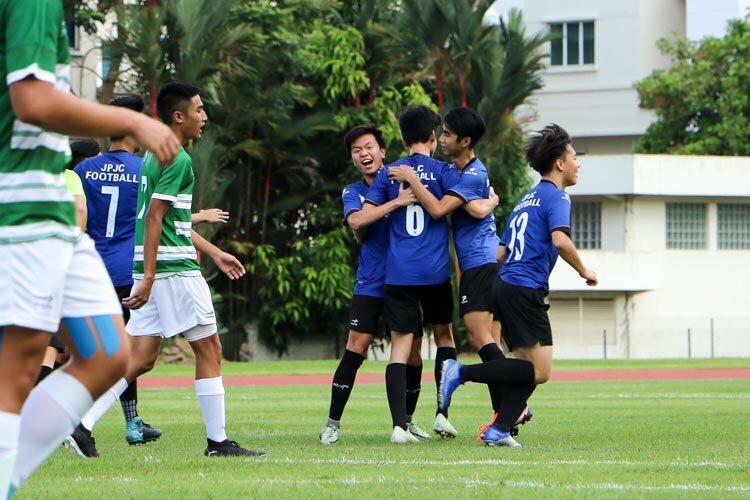 With a 1-0 lead by TMJC, the effectiveness of their box play proved to be crucial against the prowess of CJC’s attackers. When TMJC’s fifth player was restored, they returned back to their aggressive stance, seeking to put in a goal to secure a lead. 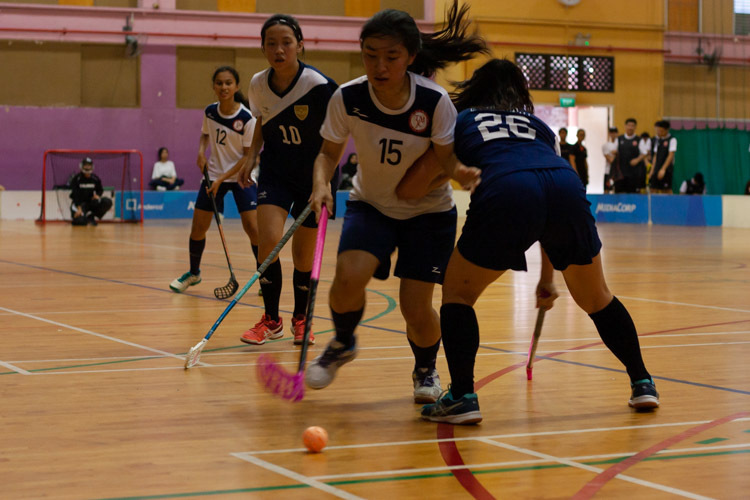 With 7 minutes and 35 seconds left on the clock, Natalie Chan (CJC #28) took a shot at a tight angle from the side and the ball brushed through the opponent’s goalkeeper, Kyna Sim (TMJC #3), to score a morale-boosting equaliser for her team. 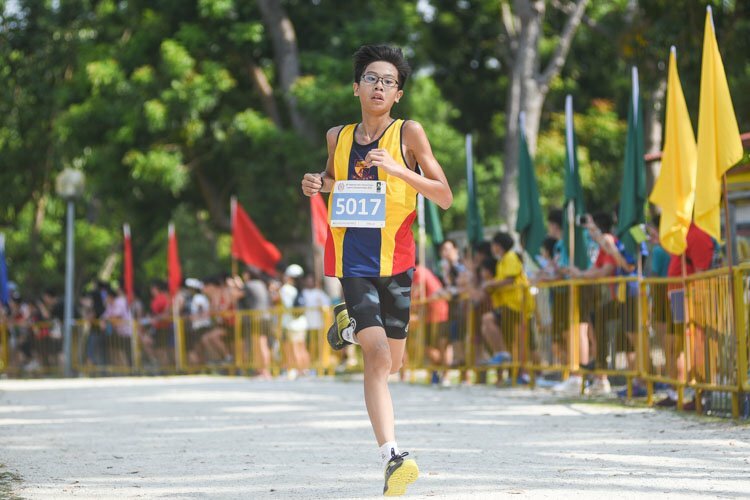 The surprising turn on events prevailed as TMJC were unable to get back their lead against the impregnable defense put up by CJC’s defenders. While CJC were celebrating their draw, TMJC showed crestfallen faces as the players stepped out of the court, disappointed by the result. 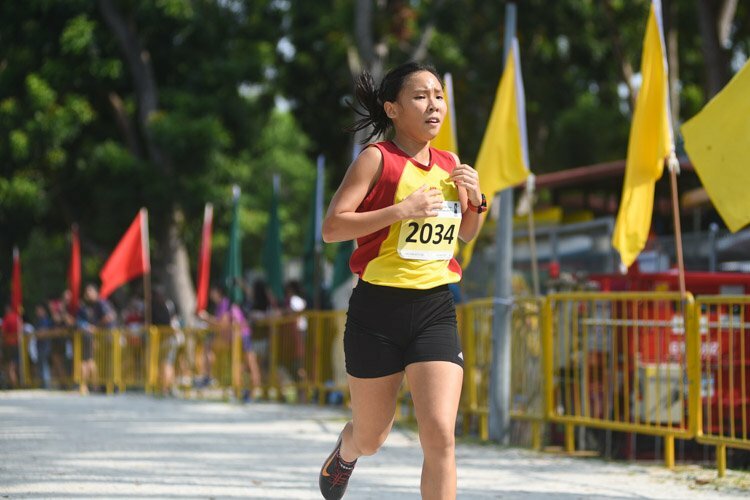 “Even though we drew with CJC, I saw it as a loss,” vice-captain Azirah (TMJC #30) shared.